With entries now closed for the DCD>Global Awards 2018, a team of data center luminaries will begin the exciting task of selecting a shortlist, to be announced at the DCD>London event in November, before the winners are revealed at a gala event in December. 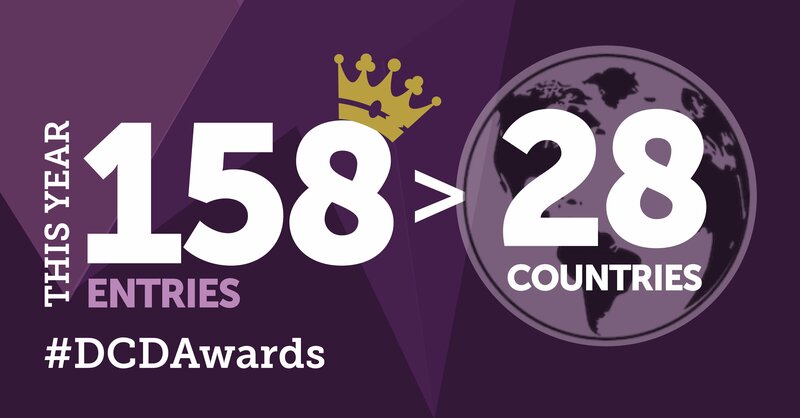 In just a few months, almost two hundred entries were submitted across fifteen award categories, and DCD's judging panel of industry experts says this year's participants are looking especially impressive. 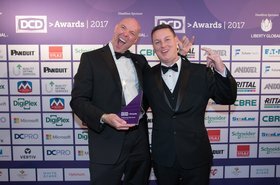 The judging panel, which represents enormous combined insight into the data center ecosystem, will now complete several rounds of judging, involving reviews and exploratory questions, to assess each project’s merits and achievements and create a shortlist of finalists to be announced at DCD's flagship conference in London in November. Two extremely popular award categories this year were the Mission Critical Innovation award, sponsored by CBRE, and the Panduit-sponsored Living At The Edge award, with twenty-two and seventeen submissions entered into each respectively, indicating a high level of interest in alternative data center hardware and edge computing. The judging panel will complete its review and feedback process in time to announce the finalists at the DCD>London event on the 5th and 6th of November. 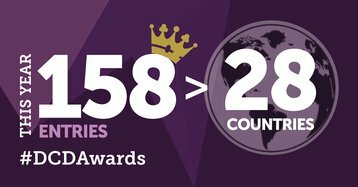 We wish the best of luck to all of the contenders, and hope to see you at the DCD>Global Awards ceremony on the 6th December at the Royal Lancaster Hotel. For more information on how to attend, please visit the DCD>Global Awards website. Infrastructure Scale-Out Award (sponsored by ABB): “The Infrastructure Scale-Out Award celebrates projects that are building and thriving at the macro level: large-scale designs that show the benefits of working at scale. Having supported many projects like this myself, I’m happy to use my experience to assess the best of this year’s entrants in this category at the DCD>Global Awards,” said Amy Daniell, Director of Mission Critical at AECOM. Data Center Operations Team of the Year – Colo+Cloud Award (sponsored by Anixter): “With the insight we have at datacenterHawk into the requirements of data centers in the colocation and cloud environment, we are able to identify the data center operations teams that are successful at meeting these complex needs. I am looking forward to reviewing these teams and their projects in this year’s DCD>Global Awards,” said David Liggitt, founder and CEO, datacenterHawk. Design Team of the Year Award (sponsored by Vertiv): “During my respective tenures as Chief Technology Officer and President of Uptime Institute I’ve had the privilege of seeing all types of data center design and assessing how they meet business needs. I anticipate using this experience in conjunction with a pragmatic approach to design methodology when judging this year’s entries in the Design Team of the Year award category at the DCD>Global Awards 2018,” said Lee Kirby, outgoing president of Uptime Institute. "I am honored to contribute to the selection of the best design team of the year. This award celebrates both teamwork and innovation, two aspects that are crucial in our industry. One of the main principles that I look out for is customer focus: putting customers and their unique challenges top-of-mind helps inspire innovative ideas and set new trends. Also, the ability to work successfully and seamlessly with all team members in a matrix structure is essential to lead ground-breaking projects from concept to effective completion. I’d like to thank the applicants for sharing their hard work and I wish everyone the best of luck!” said Viktor Petik, Vice President, Regional Leader EMEA, Global Solutions at Vertiv. Smart Data Center Award: “I look forward to being a judge for this year’s entries in the Smart Data Center Award category at the DCD>Global Awards. It is rewarding to use my experience developing smart optimization solutions, and my career as an innovator, to provide positive, explorative criticism for these projects, which reflect the next evolution of automation in the data center industry,” said Jim Fletcher, Strategy Partner at Momenta Partners. 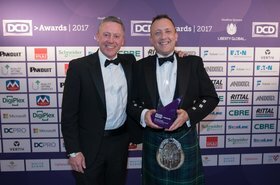 Industry Initiative of the Year Award: “Having taken part in Innovation and Sustainability projects which had wide-sweeping effects on the industry and seeing the transformation to data centers globally, I am proud to have been selected to judge this year's Industry Initiative of the Year Award. It is crucial that we relentlessly seek out and promote novel ideas, as we now know that these benefit the entire supply chain and perpetuate the market's innovative spirit,” said Susanna Kass, EVP Innovation and Sustainability Strategy at BASELAYER and Stanford University SUS co-lecturer.